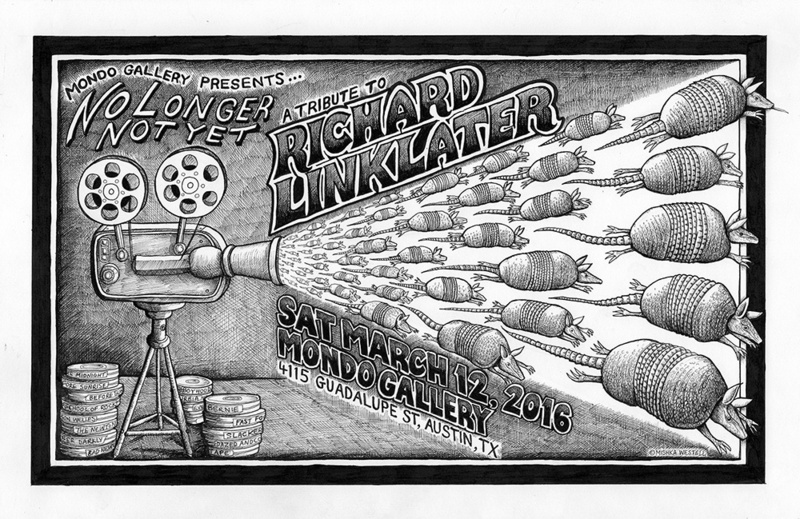 I was asked to create a fun image to celebrate the films of legendary film maker Richard Linklater, to promote an exhibition of posters illustrating his past work at the Mondo Gallery in Austin. I channeled the vibe of the original Austin Armadillo artists to come up with this dedication which Mr Linklater deemed appropriate. © 2019 Mishka Westell. All Rights Reserved.